Now, I know some teachers that would simply give this student a marked down score and move on. I do not do that. Personally, I look at this as an opportunity for both me and my student to learn and grow. Rather than moving on, I provide re-teaching opportunities as well as retakes. For most students, as soon as they turn in a test or assignment their learning ends. 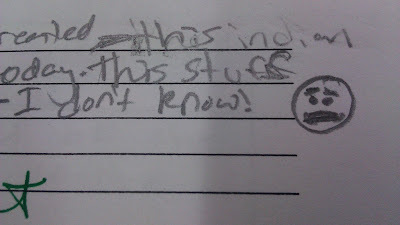 I would rather have a student write down, “I don’t know” so I can look at a different approach to help them understand that content. On a regular basis, I tell my students that it is ok for them not to know the answers but to constantly be looking for them. Once they give up on finding answers, I have failed them. If I am truly a teacher, then I must teach. That doesn’t mean just teaching up until the test, but beyond. If a student “doesn’t know” then it is my responsibility to help them “know”. Learning should not end when a piece of paper is turned in. I completely agree with you here! I allow retakes on all quizzes. There are days that things just are not going well for students or they are not feeling well. Why should the snapshot of their learning be taken on that day. If they don't know the information, they can then go and relearn the information. They also are using the information as we continue in the unit, so they remember it more. I have had so many students being successful this year because they have the 2nd chance to show they are learning. This is a great post! 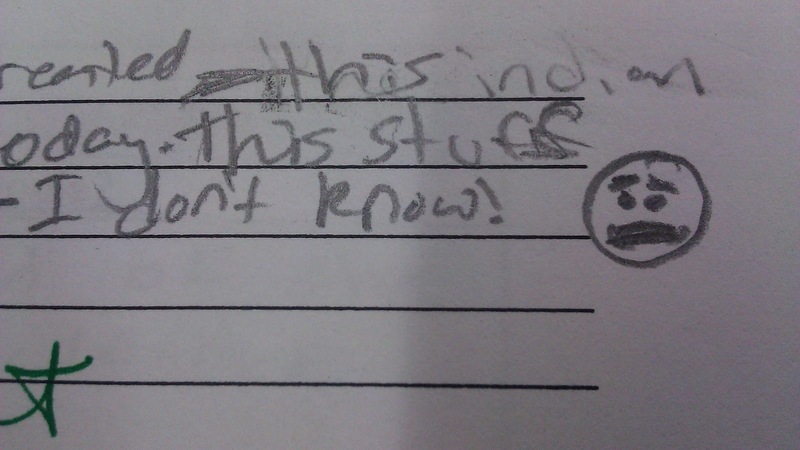 When a student says, "I don't know", then it's our responsibility to help them know the information. Too many teachers get mad and move on, leaving that child behind. I love providing the opportunity to revisit objectives, so the student can truly learn. However, if you are evaluating the acquisition of knowledge, why do you need a test/quiz at all? Couldn't you simply ask the student the questions? When she says, "I don't know," you can re-direct her to a lesson or presentation or to another student who can help her. Then, when you ask again, and she answers correctly, the goal has been met. The test/quiz is a crutch that only impedes the process. Plus, the ultimate grade after a retake will certainly hurt some students. I say, take the next step: eliminate the tests and the grades. I do the same thing. I don't want students to accept failure as their final result. I want them to have a natural curiosity and if they think the test is the be-all, end-all of their learning, then, as you said, I have failed them. I agree with much of this, however, depending on age and content I sometimes find that retakes don't really tell me that a student understands something better. In high school math I felt like it was sometimes just telling me that they now had a better idea of which examples to review and processes to memorize. Consequently I changed both the questions I asked and the way in which I had them later demonstrate knowledge. The tests now require them to apply their knowledge in novel ways. I also now utilize test journals. All students go back through their tests (and are in fact given class time to do so) and look at the problems they missed points on. They they figure out how to do them using their books, notes, guidance (not telling) from me, etc. and then have to write a paragraph explaining to me what they now understand about the situation, problem, or math involved that they didn't before. This way I can really see the growth AND because they have reflected and written about it they are more likely to now really "know." The appealing idea of "Teaching with Failure" has been written about twice in the JogNog.com blog, especially with reference to the model of failure used in successful video games. The blog posts are What If You Could Try Until You Succeed in School? and Why Don't We Teach with Failure? Keith Turner, who has a program in Franklin, Massachusetts that does "teach with failure" presented at the 2011 Games For Learning conference with a talk called Fresh Start. The main goal for many educators is to teach students to become lifelong learners. By not re-teaching in a scenario such as this, it would be completely avoiding that goal. I too have seen this type of situation happen so many times, especially during observations. I’ve heard teachers say to the student who is confused about a question, “We will come back to that question later” or “Let’s talk about it after class” and then nothing is ever said or done about it. I have also seen similar assignments simply marked as wrong with no comments or feedback at all. It’s almost as if they are ignoring the fact that the student does not understand and continuing to move on. This should NEVER happen in the classroom. Teaching opportunities occur frequently and teachers must do their best to use them to the best of their capabilities, even if it requires review at times for other students in the classroom. I support the fact that you re-teach as needed and allow students to complete retakes. Learning is an ongoing task.